Smartphone usage by Chinese consumers continues to grow in 2016, according to the latest research from Nielsen Device Share (NDS). Demand for mid-range and high-end smartphones has surged recently, as the market share of smartphones priced over 2,000 RMB increased 4.38% since end of 2015. 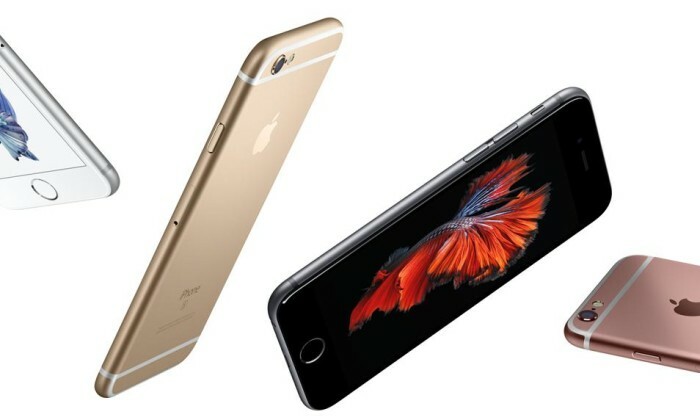 According to the NDS report, by the end of the second quarter in 2016, mid-range and high-end phones (those priced over 2,000 RMB) enjoyed a 47.59% market share with an increase of nearly 4.38%, the market share of Apple increased 0.06% while non IOS brands increased 4.32%. At the same time, the market share of phones priced below 1000 RMB continues to decline with a drop of 3.21%. As this trend continues, manufacturers launched a series of mid-range and high-end smartphones in 2016, making the competition even fiercer. These include Samsung Galaxy C5, OPPO R9, vivo X6, and Huawei Mate 8 and P9. 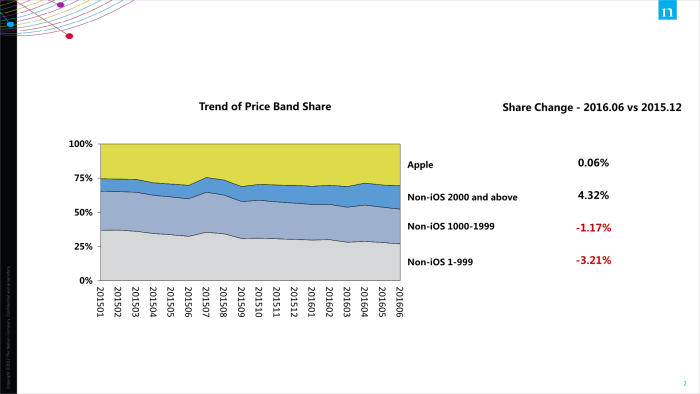 By the end of June, the market share of Apple was close to its market share at the end of Q4 in 2015; Stable at 30.3%. 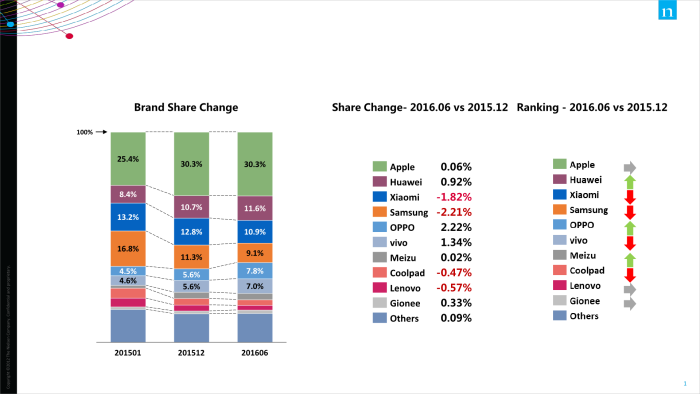 For Android products, Samsung and Xiaomi’s market share slightly decreased while Huawei became one of the top three brands with a market share of 11.6%. 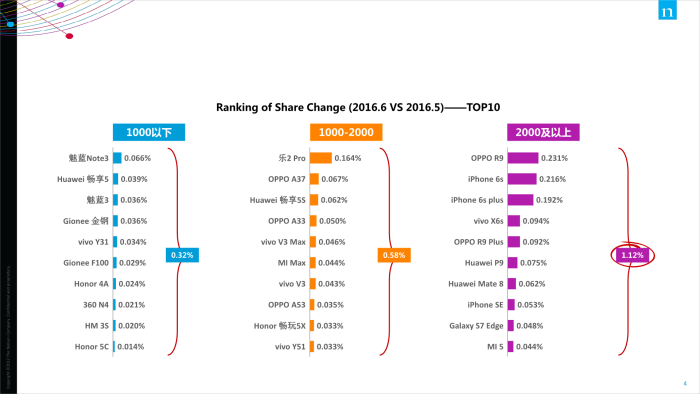 OPPO and vivo’s market share continue to grow and reached 7.8% and 7.0% respectively, catching up with Samsung. 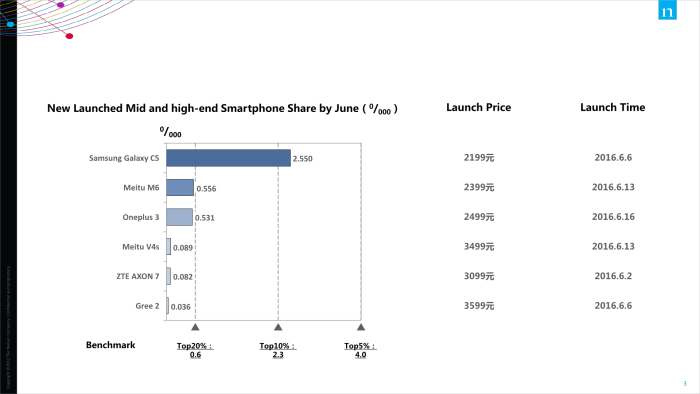 According to the statistics from NDS, Meizu and Huawei performed well within the smartphones priced below 1000 RMB category, as Meilan Note3 and another models were among the top 10. Huawei had three phones on the top 10 list. Le 2 Pro was the dark horse of phones priced between 1000 RMB to 2000RMB. Besides Apple, OPPO, vivo and Huawei all performed well amongst smartphones priced over 2,000 RMB. Generally speaking, consumers favored phones priced over 2,000 RMB, as the top 10 phones priced over 2,000 RMB saw an increase of 1.12%, outperforming the 0.32% increase of phones below 1000 RMB and 0.58% of phones between 1000 RMB to 2,000 RMB. India – WPP's JWT has acquired a majority stake in India-based digital agency Hungama Digital Services, in a bid to expand JWT’s d.. Prior to GetResponse, Lee helmed the role of a general manager - marketing at APAC's subscription-based eCommerce business called ..
Transport minister Datuk Seri Liow Tiong Lai has stepped in on the matter saying names should not be changed for the sake of chang..